Modern Philosophy and Theory Reading Group #02 - Marginal Utility, Inc. The Modern Philosophy and Theory Reading Group convenes roughly every fortnight at Marginal Utility Gallery to work through salient texts in modern philosophy and contemporary critical theory. It aims to offer a platform for people interested in collectively thinking and discussing literature grounded in the social, political, artistic, existential and economic problematics of modern life. The next few sessions will focus on Friedrich Nietzsche’s The Genealogy of Morals. 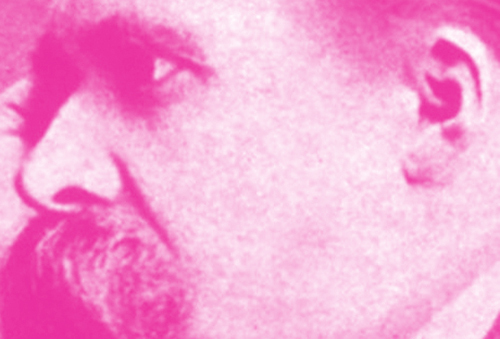 The next session will be on Tuesday 6 June @ Marginal Utility Gallery—2nd Floor, 319 N. 11th St.
We will be discussing the first six aphorisms of Nietzsche’s book. Please read this text in preparation for the discussion but note that the reading is not required for attendance and participation. Also, please note that we will be using the Oxford University edition and the Cambridge University edition. The latter can be found in full online and is easily downloadable. No prior knowledge of Nietzsche is required for attendance.